Levy works in sculptural media suggestive of ecological natural patterns and processes, such as water flowing. Her studio is based in rural Pennsylvania, but she works on projects around the world. She has studied at the Architectural Association School of Architecture, Yale University and the Tyler School of Art. Her interest in the natural world rests both in art and science. 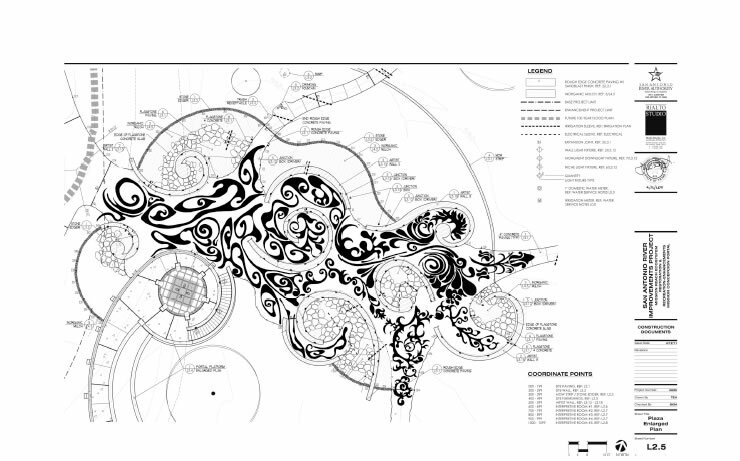 She works within the two fields using art as a vehicle for translating the patterns and processes of the natural world into the language of human understanding and tries to design each project so that the site tells the ecological story of itself. She especially likes to explore the idea of nature in the city and to make it visible to people, seeking sites which give her the opportunity to bring the patterns and processes of the natural world into the built environment. In her work, Levy meshes the clarity of diagrams, the beauty of natural forms and the visceral sense of the site. Her art creates a comprehensible visual metaphor for an otherwise invisible natural process. The northernmost in the Mission Reach and likely the first to be encountered by visitors, the Mission Concepción Portal tells the story of the establishment of the five Spanish Missions and announce one’s arrival at Mission Concepción from the San Antonio River. 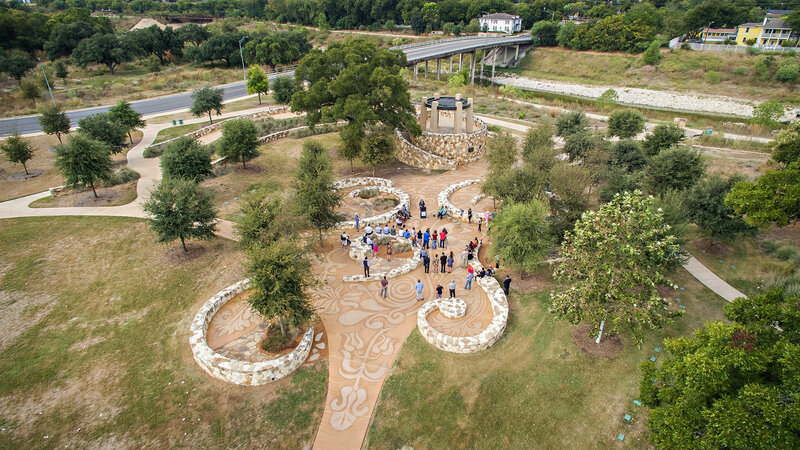 For this, the first of four planned portals heading south along the Mission Reach of the San Antonio River, the San Antonio River Foundation selected acclaimed Philadelphia environmental artist Stacy Levy to provide her artistic interpretation of the River and the Mission adjacent to it. 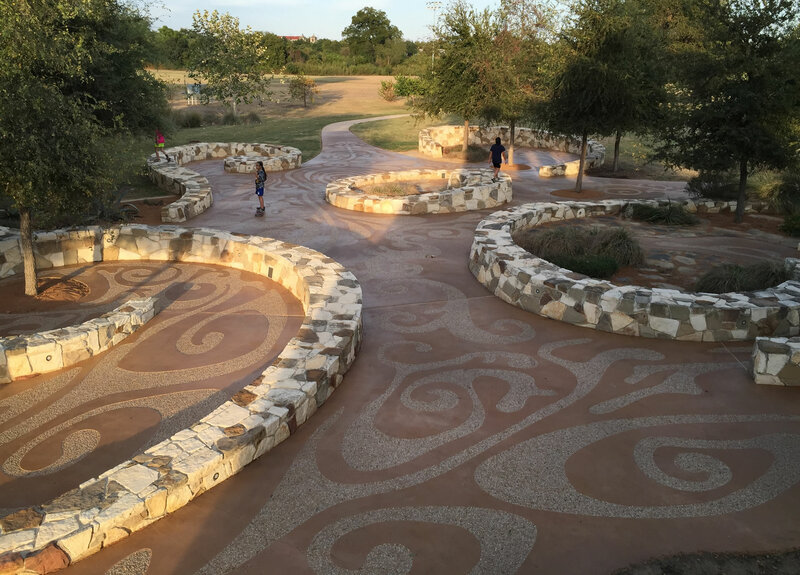 To create a visual connection between the portal and the Mission, the overall design of the portal resulted in a stone platform that allows visitors a view of both Mission Concepción and the San Antonio River. Surrounding stone walls, designed in coordination with Levy, mimic the turbulent flow of water while leading visitors through the lower plaza towards the Mission. Circular LED lights accentuate the varying height, width, and batter of each wall on the plaza floor. Design elements are intended to evoke the architectural style of the Mission without specifically replicating the features of the historic structure.